First off I see a few people had trouble with the free system yesterday. It is free but the website that's giving it away is somewhat confusing and it gives the impression that you need to pay for the system, you don't. Just fill in your name and address in one of the Sign Up Now boxes and you will get an email with the system link. Second, it's been another great week for Trainer Trends with winners at 10/1 and 8/1 and 10 points profit this week, so far – Trainer Trends. I'm away on my holidays next week, but never fear I've called in some favours and got you a week of excellent content courtesy of the Betting Insiders Club. These guys have so many experts writing for them that we get to have a different writer everyday and still a few of them didn't make the cut. The above make up just a small fraction of what was featured in this months Betting Insiders report. If they whet your appetite for more of the same then we have the added bonus of a discount code for 20% off of a Betting Insiders subscription. This code is valid for the first 50 users. 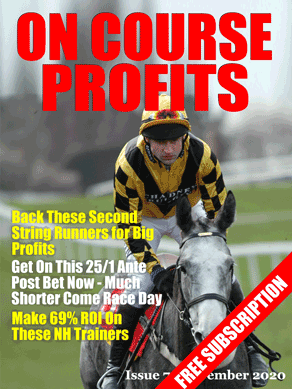 Betting Insiders will be supplying the tips next week also.